The Emirates Culinary Guild would like to announce the successful running of the La Cusine Du Sial 2017 form 12th December 2017 till 14th December 2017. The competition was held at the Abu Dhabi National Convention Centre during La Sial. 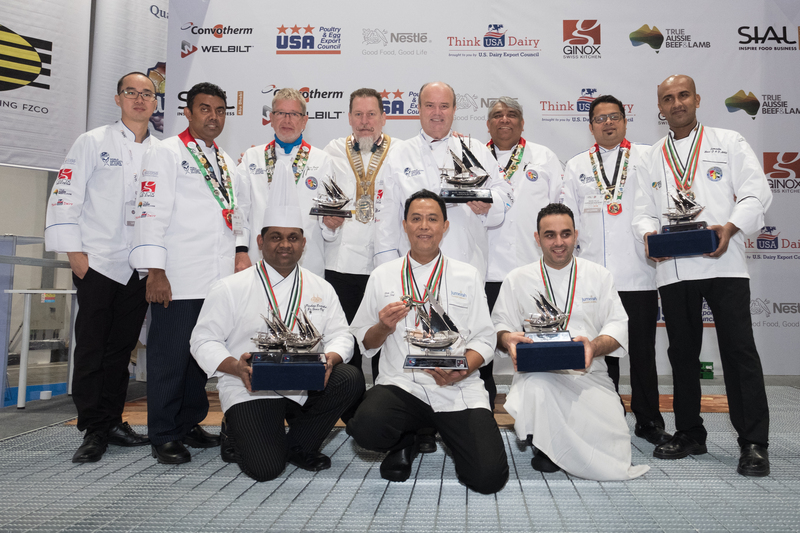 The competition saw over 485 competitors from the United Arab Emirates, Pakistan and Egypt compete in 29 classes across all disciplines of the Culinary arts, from Ice Carving, Practical cookery, static displays, Emirati cuisine, cake decorating and Show Piece categories.